Famous people born on AUGUST 7, have 6 & 7 as their most favorable numbers. They are naturally drawn to those numbers. It comes with their inborn psychic ability. They are in tune with these qualities as they live in a manner according to where the spirits guide them. They’re smooth and stylish. Anyone can see this part of their personality in their standard of living. They’re surrounded with beautiful things and nature’s blessings. When it comes to love, they could stand to be a little more realistic in their views and expectations. However, they know how and what to say at any given moment to make anyone feel better or worse depending on your mood. Mainly, the famous celebrities born on August 7 are a work of art. Jaws drop when they are at their best. Some feel inferior to them because of this attribute. Famous people born on August 7 they naturally take the lead. They are liberated people who like having a purpose in life. 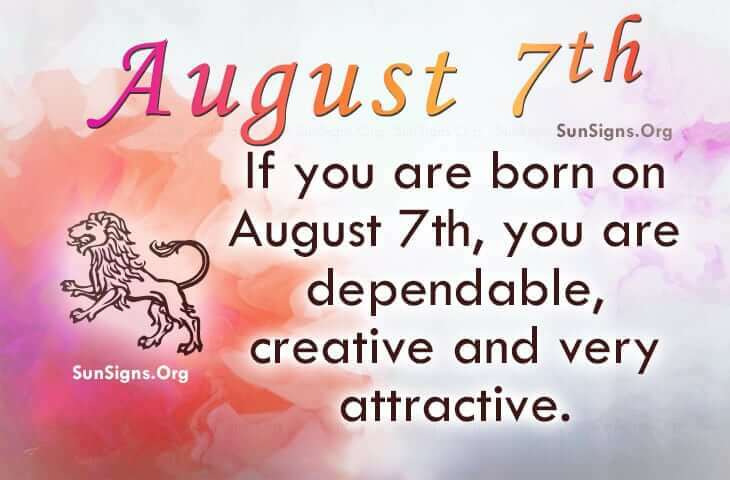 Famous August 7th Leos are dependable, creative and very attractive. On the other hand, in love, they may not make the wisest decisions but have the ability to express their feelings. As a friend, they are loyal and accommodating.